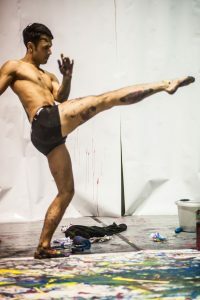 Plock! 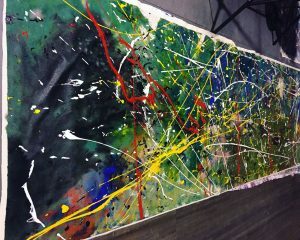 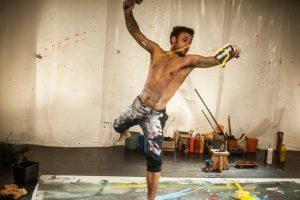 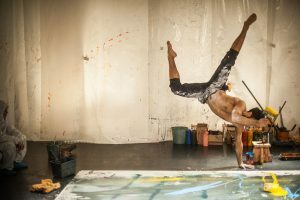 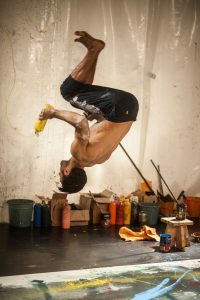 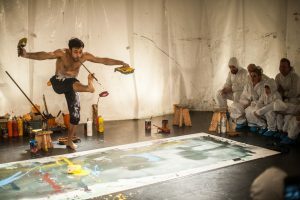 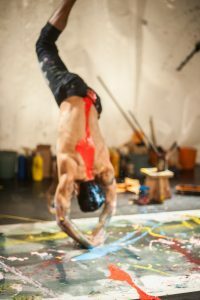 is a titillating imaginative acrobatic show with humming paint pots, sounding colors and dancing paint. 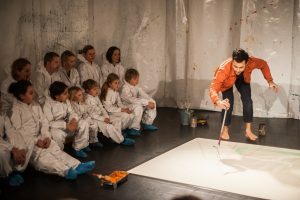 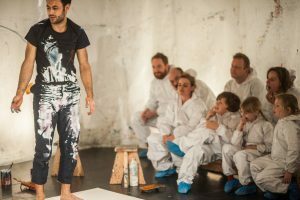 This performance is made by Hanne Vandersteene and Mahlu Mertens (Grensgeval), Camiel Corneille (company satchok), Sofie Rosseel and Stijn Dickel (aifoon).